As an active violin soloist, chamber player, and pedagogue, Dr. Sheranian is a valuable asset to the Stradivarius International Violin Competition. He started his early violin training in Salt Lake City and then began his Bachelor of Music degree at the Juilliard School. There he was under the tutelage of Dorothy DeLay. Studies at Juilliard were interrupted for two years in order to fulfill a mission for the Church of Jesus Christ of Latter Day Saints. After returning, an invitation from Stephen Clapp (currently Dean of the Juilliard School) was extended to Dr. Sheranian to study with him at the University of Texas at Austin. There work was completed for a Bachelor of Music degree. During his stay in Texas, Judd was a student teacher participating in "the String Project", under the direction of Phyllis Young. He gave private lessons, assisted in the staging of concerts, and taught chamber music. At the Univeristy of Texas, Dr. Sheranian learned to admire the teaching of Leonard Posner, one of the other violin teachers there, who had been concertmaster of the NBC Orchestra, Utah, and Dallas Symphonies. A decision was made to study under Mr. Posner for a Master of Music degree in violin performance. Mr. Posner had an immeasurable influence on Dr. Sheranain, instilling in him a fine sense of style, tradition, and love for the enormous repertory of the violin. After receiving the Master of Music degree, Dr. Sheranian was awarded a Fulbright-Hays grant which took him to Berlin, Germany to do post-graduate work. After returning to the United States, he auditioned and won a position in the Utah Symphony at the first national audition ever held by the USO. 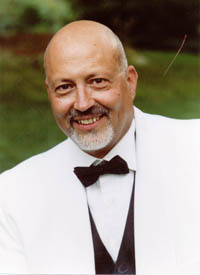 Dr. Sheranian is currently still a member of the Utah Symphony. He spear-headed the Melba Lindsay Burton Youth String Competition, which though was held only one time, served as partial impetus for the Stradivarius International Violin Competition. He has also been on the faculties of Brigham Young University, The University of Arizona, and Utah State University. Additionally, he has always had a substantial class of private students. Students of Dr. Sheranian have won places in major symphony orchestras, and prizes at competitions. Time was taken from the Utah Symphony in order for Dr. Sheranian to complete a Doctor of Musical Arts degree at the University of Arizona. An avid animal lover, he has been on the board of the Humane Society of Utah. He owns Arabian horses and loves dressage and pleasure riding.